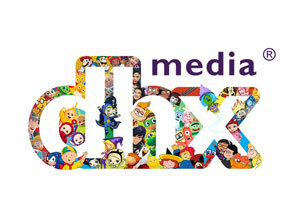 DHX Media has concluded a strategic review, announcing that it’s refocusing its content strategy on growing its WildBrain YouTube network and developing premium originals. As part of the review, the Halifax-based children’s entertainment company has signed a multi-million-dollar agency agreement for the Peanuts brand in China and Asia with CAA Global Brand Management Group LLP. The move follows the previously-announced sale of a minority stake in Peanuts to Sony for $235.6 million CDN. Additionally, DHX Media’s board of directors has suspended the company’s quarterly dividend, freeing up approximately $10 million in annual funds, to invest in the company’s WildBrain business and continue paying down debt. The company plans to invest in more short-form content, leveraging data from WildBrain’s 2.4 billion monthly views and over 50 million subscribers. 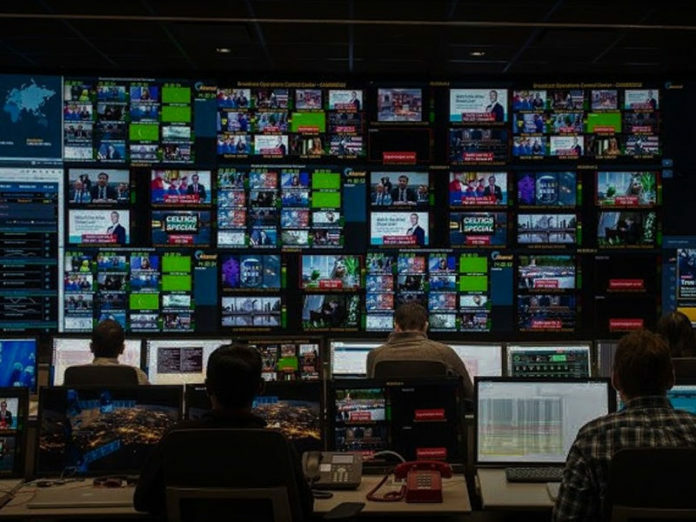 It will also prioritize new content development on premium, original long-form series to meet rising demand for exclusive programming from major streaming platforms. Read more here. 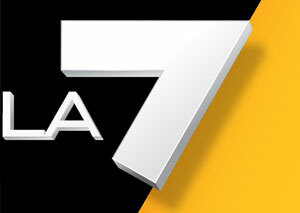 The CRTC has approved the addition of La7 Italia to the list of foreign channels authorized for distribution in Canada. The commission approved an application from Ethnic Channels Group Limited (ECGL), the service’s Canadian sponsor. La7 Italia is described as an Italian-language television service that offers a wide range of programming of interest to the Italian community, including news and information, lifestyle, health and wellness, documentaries and current affairs programming. The Directors Guild of Canada (DGC) has announced its full list of nominees for the 2018 DGC Awards. Vic Sarin will be honoured with this year’s DGC Lifetime Achievement Award. 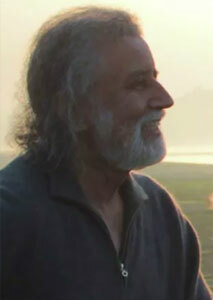 The Indian-born Canadian film director, producer and screenwriter is best known for his work as a cinematographer on films including Partition, Margaret’s Museum, Whale Music, Nowhere to Hide, and Riel. Montreal-based Indigenous documentary filmmaker and activist Alanis Obomsawin, who has over 50 films to her credit including Kanehsatake: 270 Years of Resistance, will receive this year’s DGC Honourary Life Member Award. Norma Bailey will be honoured with the Don Haldane Distinguished Service Award. The Manitoba-born director has most recently directed episodes of Anne With An E, Mary Kills People, Ransom and Outlander, among other series. CBS Television Studios says it will open a television and film production hub outside Toronto by mid-2019. CBS says the 260,000 square-foot facility, to be located in Mississauga, will include six sound stages, production offices and other support facilities. The company shoots series Star Trek: Discovery and In the Dark in Toronto, and will also produce the reboot of Charmed in Canada. Quebecor is calling on Québec’s political parties to make a formal pledge to maintain the predictability of the province’s Film or Video Production Services Tax Credit. 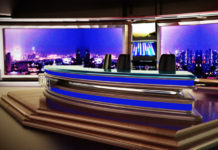 Quebecor owns the MELS soundstage facilities in Montréal, Saint-Hubert and Québec City, used for both local and foreign film and television productions. Quebecor president Pierre Karl Péladeau says they’re looking for fiscal predictability before making a $40 million investment in new MELS studios. Quebec’s current film production tax credit stands at 20 per cent (compared to Ontario’s 21.5 per cent incentive). Twenty-three foreign films were shot in Québec last year, generating direct expenditures of $383 million, up 28.5 per cent from 2016 and 440 per cent from 2009. Québec currently accounts for just 11 per cent of foreign film productions in Canada, compared with 62 per cent for British Columbia and 23 per cent for Ontario. Read more here. 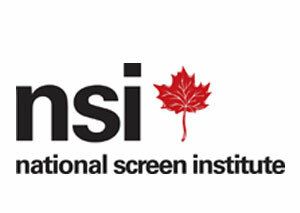 The National Screen Institute – Canada (NSI) is accepting applications for the 2019 edition of NSI IndigiDocs. The program offers development and mentorship for up to four producer/director teams to create a short documentary, including up to $16K in cash toward production of their films. Find out more and apply for NSI IndigiDocs by Nov. 5. The Canadian Film Centre (CFC) has announced the six new residents joining the 2018 Bell Media Prime Time TV Program, presented in association with ABC Signature Studios. This year’s group includes Sophia Fabiilli, whose co-created comedy-horror web series Fatal Murder is in development with Shaftesbury; writer and community leader Jessica Meya – the 2018 recipient of the Breakthrough Artist Award at the Toronto Screenwriting Conference; Michael Rinaldi, an actor and writer whose play Toothpaste and Cigars, (co-written with TJ Dawe), was adapted as 2013 feature film The F Word; Mackenzie Sinclair, originally from Edmonton, a 2017 Toronto Screenwriting Conference Magee TV Diverse Screenwriters Award recipient; Veronika Paz, an actor, playwright, director and TV writer, who was the 2018 recipient of the Al Magee Diverse Screenwriters Award; and Heather Taylor, a writer, director and co-founder of New York creative studio Cereal Made, with writing credits on feature The Last Thakur; sci-fi web series Raptured, and the award-winning short Stitched. The group will work with CFC alumna and writer-producer Alexandra Zarowny. Her work spans Degrassi: The Next Generation to Wynonna Earp, Murdoch Mysteries, Bellevue and Private Eyes. 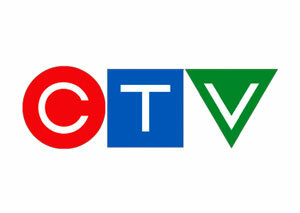 CTV has unveiled a simplified logo in conjunction with the launch of the 2018 Fall Season. 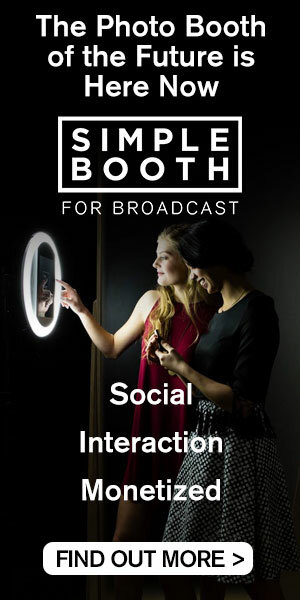 A cross-platform campaign calling on viewers to “Get Into It” features a pared down version of the logo, the network’s first brand refresh since 2011. In addition to CTV’s digital and social channels, the new branding will be leveraged across Bell Media’s assets including national promotion across its 88 English radio stations; featured amongst the movie trailers in Cineplex’s Showtime theatre platform; and an ad roll-out in Toronto, Calgary and Vancouver that will include a high impact transit presence and a hand-painted mural at Bell’s 299 Queen Street West location in Toronto. Read more here. Ryan Tedder, Sarah McLachlan, and Arkells’ Max Kerman have been confirmed as the first wave of celebrity mentors for Season 2 of CTV’s The Launch. Québec pop icon Marie-Mai (Star Academie, La Voix) also joins the series as a permanent mentor on the weekly celebrity panel, alongside music industry veteran Scott Borchetta. Liz Trinnear (ETALK) also comes on board in a new hosting role. The Launch began production this week in Toronto on its second season. A User’s Guide to Cheating Death, a Canadian docuseries challenging health trends from laser fillers to holistic medicine, is set to premiere on Netflix this month. Season 1 is set to stream North-America-wide, starting Sept. 28, while Season 2 will begin airing on VisionTV on Oct. 15. 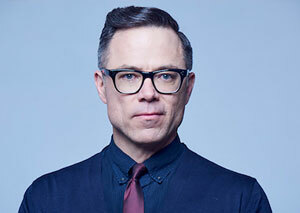 Produced by Toronto-based Peacock Alley Entertainment, the series is hosted by University of Alberta law professor Timothy Caulfield, known for his book Is Gwyneth Paltrow Wrong About Everything? The series first season has become an international hit since premiering on VisionTV last fall. It’s now seen in 67 territories, including Australia, New Zealand, Russia, Africa, India, much of Europe and the Far East. CBC’s new competition series Canada’s Smartest Person Junior premieres Nov. 14. Like Canada’s Smartest Person, the junior format is inspired by psychologist Howard Gardner’s Theory of Multiple Intelligences. Over six weeks, 12 Canadian kids aged 9–12 will showcase their smarts in challenges across six categories: physical, musical, social, linguistic, logical and visual. The series is hosted by two-time Canadian Screen Award winner Paul Sun-Hyung Lee (Kim’s Convenience). CraveTV is ramping up its marijuana-themed offerings in conjunction with Canadian legalization on Oct. 17. Its expanded 420 Collection is anchored by the addition of Season 1 of HBO comedy-drama High Maitenance, exploring the eccentric private lives of New Yorkers with one connection: their weed dealer. Other titles include The High Court, Broad City, Workaholics, HBO’s Bored To Death, reality-documentary Weed Wars; and VICE series Bong Apetit and Weediquette. October also sees CraveTV launch the new VICE Collection, following Bell Media’s new partnership with the media brand. It will include Season 1 of the Emmy-nominated Gaycation with Ellen Page; Season 1 of Most Expensivest, starring 2 Chainz; Seasons 1 and 2 of F*ck That’s Delicious with Action Bronson; and Slutever, among other titles. Not A Subscriber? Subscribe Now – Free! Broadcast Dialogue has been required reading in the Canadian broadcast media for 25 years. When you subscribe, you join a community of connected professionals from media and broadcast related sectors from across the country. 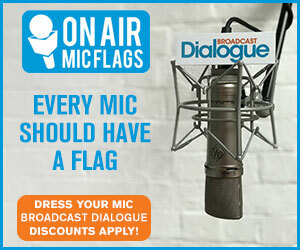 The Weekly Briefing from Broadcast Dialogue is delivered exclusively to subscribers by email every Thursday. It’s your link to critical industry news, timely people moves, and excellent career advancement opportunities. Let’s get started right now. © Broadcast Dialogue - a division of Momentum Media Marketing, Inc.